Lifetime Membership - One time $600 payment. For more information regarding the benefits of membership, go to http://txcha.org/membership/. Three (3) year membership. For more information regarding the benefits of membership, go to http://txcha.org/membership/. Lifetime membership for seniors 65+ | One time $300 payment. For more information regarding the benefits of membership, go to http://txcha.org/membership/. Annual membership. For more information regarding the benefits of membership, go to http://txcha.org/membership/. Annual individual membership for up to ten (10)* employees (electronic journal only) – up to a $300 value. Note: You will be contacted by a TCHA representative to have the names added to the membership database. *If the company has more than ten (10) employees that they would like to add, each one can be added at a reduced annual membership rate of $25.00, which is a $5.00 savings. Click here to add additional employees. Note: You will be contacted by a TCHA representative to have the additional names added to the membership database. All employee memberships include the weekly e-letter, The Weekly Shot; the e-version of the quarterly journal, The Concealed Handgun; membership card, and TCHA window decal. Listed as a corporate member on TCHA’s webpage, www.txcha.org, and in the quarterly journal. Annual individual memberships for up to five (5)* employees (electronic journal only) – up to a $150 value. Note: You will be contacted by a TCHA representative to have the names added to the membership database. *If the company has more than five (5) employees that they would like to add, each one can be added at a reduced annual membership rate of $25.00, which is a $5.00 savings. Click here to add additional employees. Note: You will be contacted by a TCHA representative to have the additional names added to the membership database. Additional employee names and emails can be added at $25 each – $5 savings. Note: You will be contacted by a TCHA representative to have the additional employee names added to the membership database. All employee memberships include the weekly e-letter, The Weekly Shot; the e-version of the quarterly journal, The Concealed Handgun; membership card; and TCHA window decal. For more information regarding the benefits of membership, go to http://txcha.org/membership/. NEW...In appreciation to all veterans and military members who have served or currently serving our country, the Texas Concealed Handgun Association is proud to offer a discounted Military Lifetime Membership! For more information regarding the benefits of membership, go to http://txcha.org/membership/. NEW...In appreciation to all veterans and military members who have served or currently serving our country, the Texas Concealed Handgun Association is proud to offer a discounted Military Annual Membership! 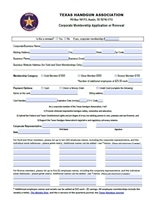 For more information regarding the benefits of membership, go to http://txcha.org/membership/.